Lepas ni, either aku kene buang negeri, or.. aku jadik rockstar kt Johor.. kepade Allah berserah. 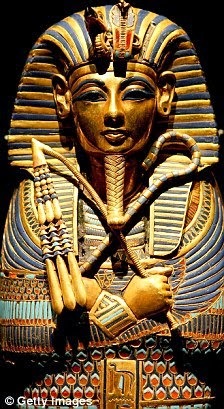 Beside Egyptian Kings and Queens, Sultan Melayu pun pernah di mummiakan. 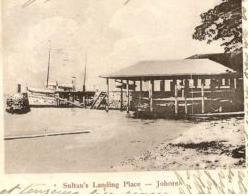 Episode Untold History kali ni aku nak bukak pasal Mummia Sultan Abu Bakar of Johore, his last days and journey masa pulang ke Johor in 1895. HRH Abu Bakar dilaporkan meninggal pada 4 June 1895 di Bailey's Hotel, London semasa lawatan untuk mengubat penyakit buah pinggangnya. 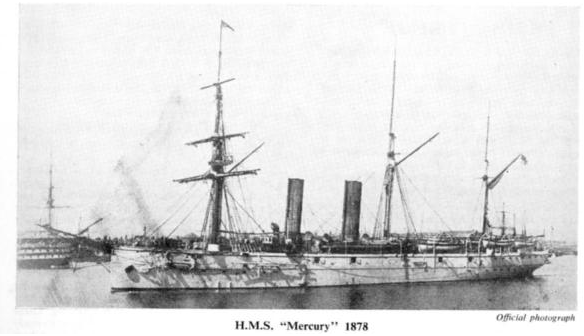 Despite popular belief yang dia suka merayap, most of his visit to London adalah untuk mengubat penyakit buah pinggang nya, yang paling mase tahun 1878 which he tour Europe hampir setengah tahun and beli istana di Switzerland. He considered wheather di Europe sangat baik untuk kesihatannya, sebab tu dia suka tour ke Europe and declined few invitations to visit Australia dan America. Semasa di Bailey's Hotel, HRH Abu Bakar cume menerima anak ke-3 Queen Victoria, Price Arthur sebaga tetamu semasa beliau sedang sakit. Dan Prince Arthur jugak laa yang membawa Sir Richard Douglas Powell, personal physician kepada Queen Victoria untuk merawat HRH Abu Bakar. 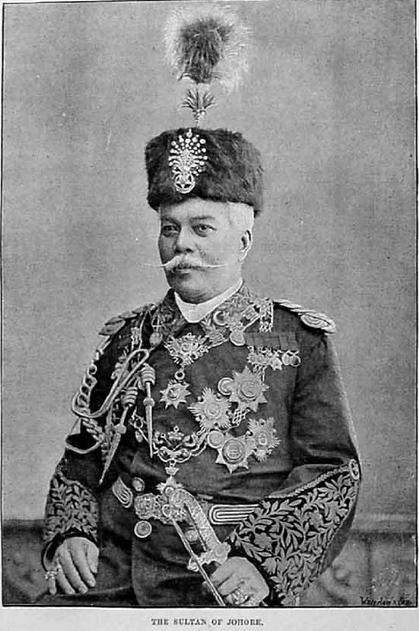 HRH Abu Bakar mengidap radang paru-paru semasa di Bailey's Hotel dan proclaimed death pada petang 4 haribulan June 1895. 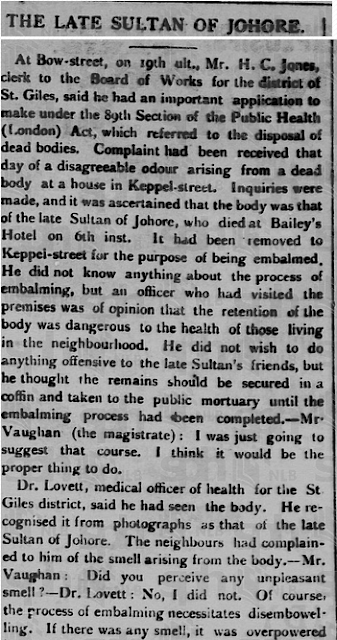 The 'untold' chapter behind the demised pulak ialah : Jenazah HRH Abu Bakar ditempatkan disatu rumah di Keppel Street at Russel Square dan diuruskan oleh Dr Charles Bayle, seorang doktor yang diimport dari Perancis. Jenazah HRH Abu Bakar dibawa pada hari yang sama ke Keppel Street. Dimandikan, lalu diletakkan senaskah Quran didadanya.. dan dibawah Quran tersebut, diletakkan sepasang gunting. Dr Bayle 'ditugaskan' untuk embalm jenazah HRH Abu Bakar, so his body preserved during the long journey back to Johore. "33, Keppel-street, Russell-square, London, aquiet-looking early Victorian red-brick house ofexactly similar appearance to hundreds of otherhouses in red-brick rows in Bloomsbury, lay thebody of his late Highness the Sultan of Johore.The house is that of Dr. Charles Bayle,Chevalier de la Legion d'Honnear, Commandeurde St. Gregoire-le-Grand, a French scientistwho has made a special study of the art ofembalming. When you enter at the strict doorthe faint scent of heavy perfume strikes you,and grows less faint as you walk along the hall,and as you walk down white-carpeted stairs intoa chamber built out at the back of the housewhere once was a garden, the heavy perfumecomes at you heavier and more powerful, andsuparates itself into several distinct and con-flicting scene's.The dim whiteness of the room, the Leavyperfumes, the sombre torch of red tell quite as plainly what it is that lies behind the screen ascould black velvet and silver, burning tapers,and the damp scent of dying flowers. In themiddle of the room on a low trestle bed, white-draped, the dead Sultan lies, to all appearancecalmly and peacefully asleep. He is dead asany Sultan in history, but the face has notchanged in the least. 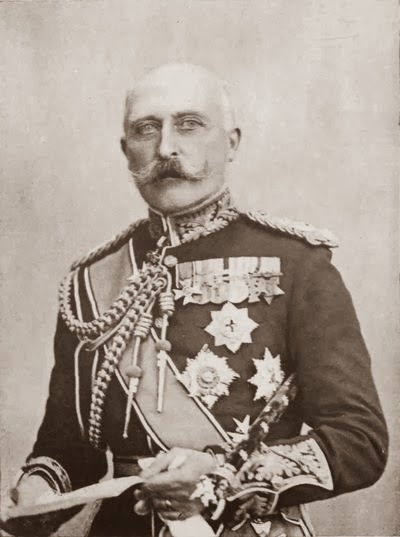 Dr Bayle's balsams have changed death into sleep, and he lies with hisgrey moustache and wavy hair and his blackarched eyebrows, his handsome soldierly duskyfeatures smoothed and softened, and with hiseyelids lightly closed in the calm and perfectrepose which easy slumber brings to the face ofthe man of the world. He looks exactly as onewho knew anything of the Sultan would expecthim to look in sleep. On his breast there lies abound manuscript copy of the Koran, and underit, placed there by the priest in accordance withsome custom or belief, a pair of scissors. Onthe white door at the side of the bed are threelarge paper bags of perfumes—one of rosemary,one of patchouli; and the other of rose-leaves.The wonderful triumph over decay has been effected by Dr. Bayle's system of arterialinjection. But not that system only has beencarried out. In the Oriental system ofembalming the body is eviscerated and theorgans removed and purified. In the old daysthey knew no other way, and what they did inthe old days is according to Eastern ideas theonly decorous thing to-day. So the doctor has taken out the internal organs, washed and cleansedthem, applied his preservative treatment tothem separately, and then replaced them in their proper positions. But that was only to satisfy the ideas of the Sultan's Court as towhat was right and in order. Still it was notnecessary; it was not scientific, he says. Four pints of the preservative fluid, of whichhe holds the secret, forced through the arteriesby air pressure would have sufficed. "You see," he says, "the body is already say beginningto dry; the hand it becomes to be a piece like of wood; the foot it is the same; the face I treat it in a different way, so as to keep it theappearance of softness, but you shall see thatear, it is already like a piece of leather." Theear looks warm snd soft and natural enough,but when you touch it it is set and stiff andhard. The legs are bound tightly round withnarrow strips of cloth and another goes undereach instep, keeping the feet in position. Ina day or two the bindings will be varnished, andthen all will be ready for the sleeping Sultan tobe put in his coffin with the rosemary and thepatchouli and the rose leaves on top of him. "And those bandages are not removed when the embalming is complete ?" the "Pall Mall" visitor asked. "These bandages," said theDoctor, "shall be removed never." Never is along time. Perhaps the Court embalmint of thePharaohs used the same word about the mummycloths to the newsmonger who described theprocess in hieroglyphics. 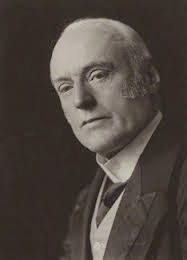 But he did not forseeBritish Museums and the science of Egyptology.Who knows in what museum this mummy maybe eventually deposited, and in what as yetunborn lsnguage it may be lectured upon whenthe name of the Sultan and all that he did shallhave been forgotten? For the embalmed body, says Dr. Bayle, will last, if not for ever, yeslonger than the recollection of the breach ofpromise case, and longer than the State ofJohore. The embalmed body will remain whereit is for two months longer, and then the Sultanwill go back to Johore to be buried"
Sebab utama jenazah HRH Abu Bakar tidak dihantar ke "Public Mortuary" adalah sebab biasanya Public Mortuary disana biasanya terletak di Gereja, atau dipenuhi oleh simbol-simbol keagamaan kristian. Perkara ini direkodkan dalam Health Journal, yang mana Public Health Department menerima komplen bau busuk dirumah Dr. Charles Bayle. Bila Dr. Lovett from St Giles District membuat lawatan, Dr Charles Bayle menyatakan bau tersebut datang dari ubat-ubatan yang digunakan kerana rombongan HRH Abu Bakar memintanya embalming jenazah, dan tidak dibawa ke Public Mortuary. 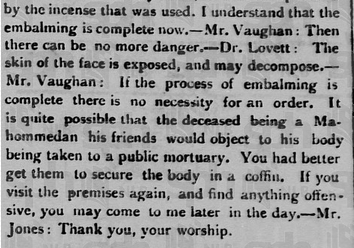 Dr. Lovett menyampaikan kepada Dr Vaughan, seorang Majistret Kota London berkenaan perkara ini dan Dr. Vaughan memberi perlepasan kepada Dr Charles Bayle to complete the embalming. Now.. crucial part.. macamane rombongan HRH Abu Bakar boleh decide to embalm jenazahnya? Korang bace dari atas sampai bawah.. that what the longest journey would takes kalau nak mengebumikan jenazah pada zaman dahulu.. dat is why laa..
Pade yang perasan alim sangat tuu.. sure ade rase dia yang lebih islamik.. So.. adat mane yang ditiru Sultan Abu Bakar ni? adat and hukum sape yang justify kan perkara ini? sure korang tanye kan?? Konnectionnya di sini : "Khalifah Al-Jauhar"
Dicatatkan dalam "Rihlah Ibn Battutah" ditulis pada 1354, terdapat satu jenis adat yang pelik di kalangan raja-raja Khalifah Othmaniah.. aku masih ade lagi copynya bab ni.. nanti aku pastekan..
Dicatatkan, mereka meletakkan jenazah raja-raja mereka di tempat yang tinggi setelah diletak ubat, dibuka atapnya, lalu dibiarkan selama lebih kurang 4 minggu untuk orang melawat. Bila habis tempoh berkabung, baru di kebumikan.. mengikut adat Khalifah Othmaniah lah.. Sebab tu orang Arab Wahhabi sangat benci orang2 Othmaniah, and dorang perasan lebih alim dari kerajaan Khalifah Othmaniah. Even, Khalifah terakhir Othmaniah yang mati di Italian Riviera dan dikebumikan 3 hari selepas itu. So... jangan laa nak tunjuk alim sangat compare to those alim ulamak yang ahli dalam hukum hakam Islam 150 years ago... hoccay?? ?